Dentists routinely remind people to floss regularly – many patients have no problem brushing their teeth twice a day, but many seem to have a harder time flossing. The excuse varies from patient to patient – some find it difficult, others simply don’t think they have time, and still others don’t understand the purpose and importance of flossing. While brushing your teeth regularly is necessary to prevent tooth decay, flossing is just as important: brushing alone, without flossing, will not prevent either tooth decay or periodontal disease. One of the main risks to oral health is damage from bacteria – the bacteria within the mouth produces acids that damage the tooth and gum tissue, resulting in tooth decay and periodontal disease. Within the mouth, this bacteria takes the form of plaque – a thin yellow film composed primarily of bacteria and water – which will harden into tartar if not removed. The presence of plaque and tartar is virtually always damaging to teeth – it will produce acids that will eat through tooth enamel, and hardened tartar deposits will physically irritate gum tissue, leading to gum recession. The primary purpose of flossing is to remove plaque and tartar from surfaces of the teeth that can not be reached by brushing alone. In particular, while brushing is great at cleaning the lingual (tongue-facing), facial (cheek-facing), and occlusal (biting) surfaces, it’s relatively poor at cleaning the proximal surfaces – those between teeth. Because brushing alone can not reach between teeth, flossing can help physically scrape plaque from teeth before it’s allowed to harden into tartar. Patients that skip flossing risk allowing tartar to form between teeth – once plaque hardens into tartar, it needs to be removed with professional cleaning, as brushing and flossing alone will be unable to remove the calcified deposits from teeth. Patients who rarely floss will likely notice that their gums are irritated and bleed when flossing – this is usually an indication that they should have a professional cleaning, and floss more often to help remove existing bacteria. 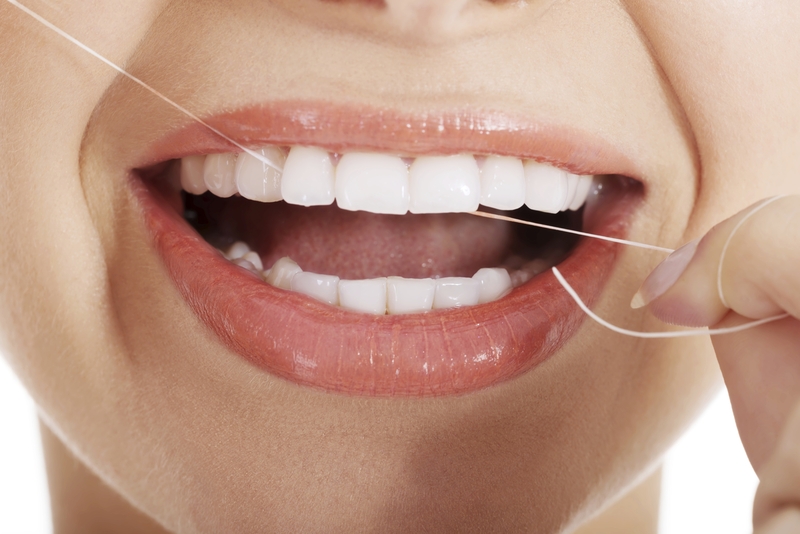 Over time, regular flossing will remove the bacteria that causes inflammation and bleeding, allowing the patient’s gums to heal, and the bleeding will subside. It is important, though, to use antibacterial mouthwash in conjunction with flossing to help kill any bacteria that remain in the mouth after flossing. Brushing and mouthwash can help kill much of the bacteria within the mouth, but flossing is truly necessary to remove plaque from between teeth. If you’re unsure of the right way to floss, ask your dentist or oral hygienist to show you how – proper flossing technique will save you time, and make you more likely to floss daily.